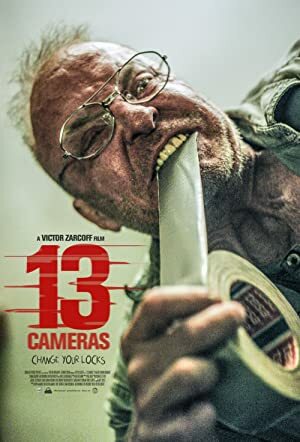 13 Cameras (2015) – What's New on Netflix Canada Today! Slumlord (original title) – Expecting their first child, newlyweds, Ryan and Claire, can’t wait to settle in their new home, even though their unkempt and monosyllabic new landlord, Gerald, is a downright creepy recluse who lives nearby. However, what the unsuspecting couple don’t realise, is that the taciturn overseer has already rigged their new nest with undetectable cameras and a closed-circuit surveillance system to watch their every move. Inevitably, as the repulsive Gerald keeps himself glued to his monitors to watch his private Big Brother show, no secrets are safe–including those between the couple. Is there a way to expose the slumlord’s obsession? A newlywed couple, move into a new house across the country, only to find out that their marital issues are the least of their problems. Unbeknownst to them, their grim and lascivious landlord has been spying on them from day one.